When is closest approach, and what will people be using to observe both in same view? Binoculars or small scopes with wide eyepieces? Check Stellarium of Sky Safari, but it looks like it is tomorrow a.m. Jan 22. 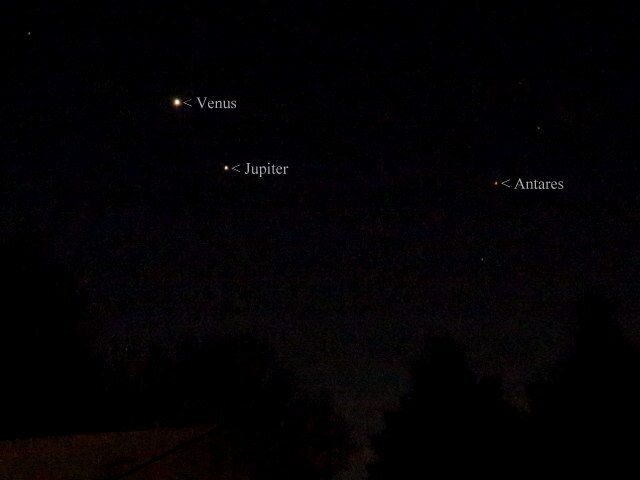 They will still be a couple of degrees apart, so binoculars or really wide field scope. I saw them naked eye on my way out the door for work this morning. Bright, unmistakable close pairing. 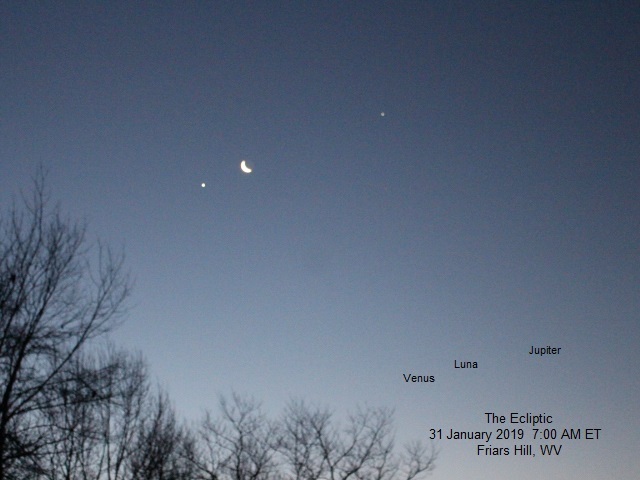 They looked awesome about 6:00 this morning, May be too far apart for a scope, unless a short focal length scope and an extra wide low power eyepiece. Spectacular sight in 17x70 binoculars this morning! 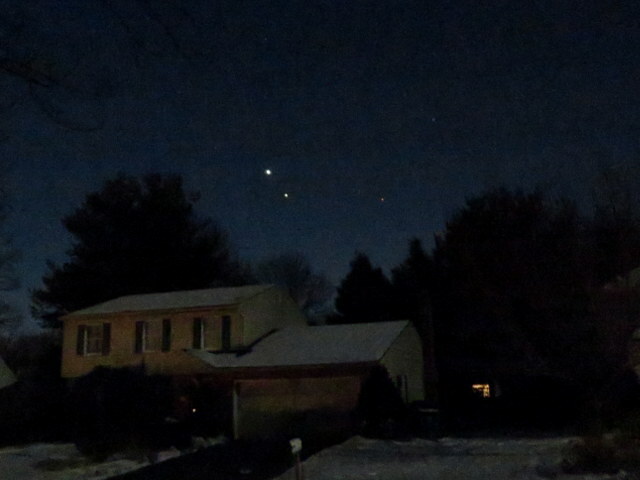 Venus is cute but I will not ruin my sleep for her any more, so I waited till 11 AM and saw both Venus and Jupiter in the same FOV with 60mm f6 scope and 31mm Nagler eyepiece. I saw Jupiter and Venus together in one field of view just the other morning in my 12x50 Pentax SP WP binoculars. Edited by Miranda2525, 23 January 2019 - 05:42 PM. The close pairing was a nice sight. 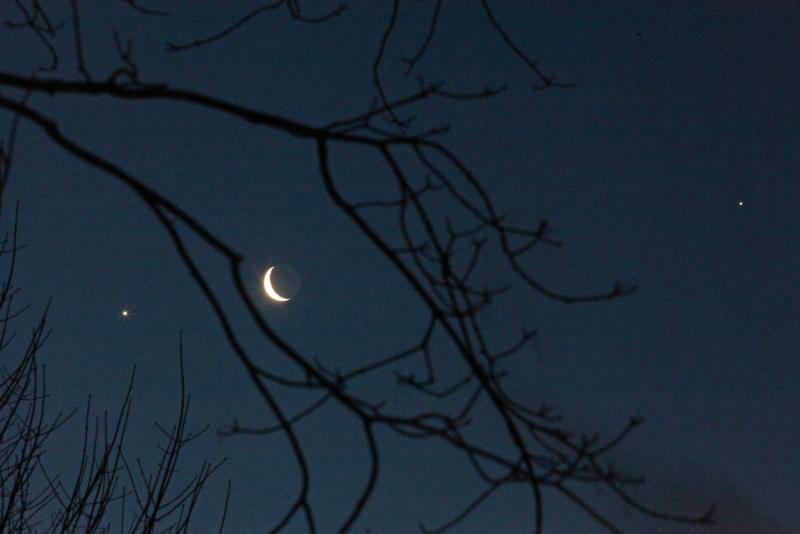 I took these two shots around 6:20 a.m. EST on Tuesday morning using a hand-held Canon SX720 HS in the NightScene mode. 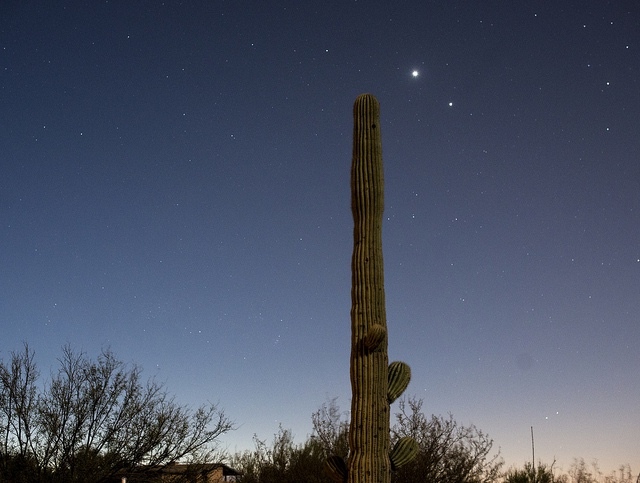 Venus and Jupiter were just a shade over two degrees apart at the time. 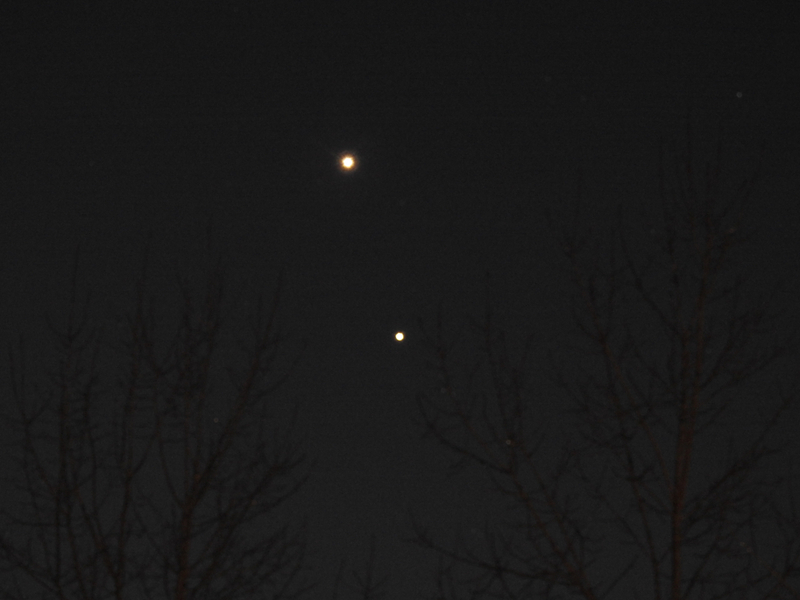 Venus and Jupiter imaged on January 21 at 6:50 am EST (1150 UT). And this morning, the Moon got in on the action. I was standing in the driveway this morning in slippers, fuzzy pants and a parka at -25 C. If you're going to photograph the sky in extreme conditions, I cannot recommend pants (highly enough). I got up this morning to let the dogs out and check the fire and was impressed by the same sight so I grabbed a coat and my camera to snap this pic. Camera is a Canon T5i. Temperature was 2F/-17C.